The cloistered men and women are doing more for our country than all its politicians and labor leaders; they are atoning for sins of us all. They are averting the just wrath of God, repairing the broken fences of those who sin and pray not, rebel and atone not. As ten just men would have saved Sodom and Gomorrah, so ten just saints can save a nation now. Catholic Family News' annual conference will be held from April 6-8, 2018 in Deerfield (Chicago), Illinois. 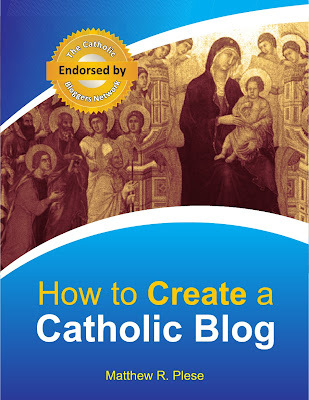 Register now at www.catholicfamilynews.org, or call 1 (800) 474-8522. This video was made for the tens of thousands of believers who come to hear the uplifting Gregorian chants from in the oldest monastery in the West, that of Ligugé. 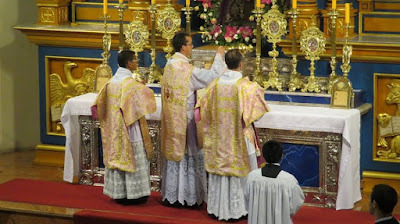 This is the beauty of having Mass said in a universal language - even if we do not speak Latin, we can understand the Mass when it is said in a universal, timeless, and global language. And for Catholics that language is Latin. 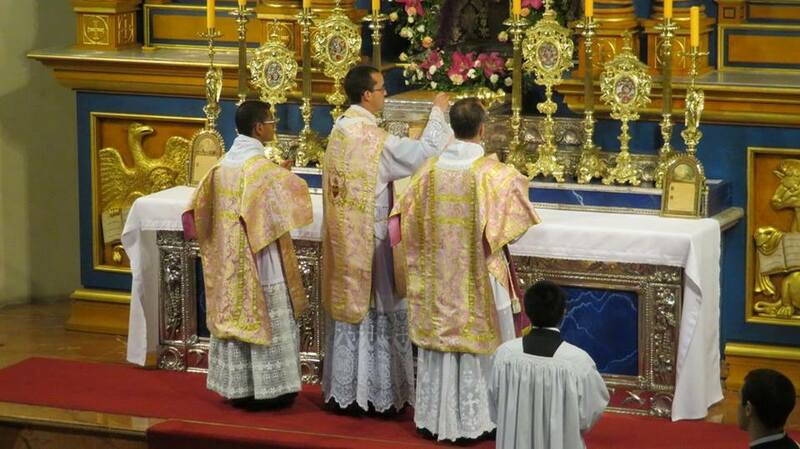 First Mass of Jesús Cano Moreno & RP Guiscafré. Some beautiful images from Facebook showing the first Mass of both of these priests. Let us pray for them and for their work on behalf of the salvation of souls. For those new to Catholicism - and even those of us who have been Catholic for a long time - we may be unfamiliar with what is a public versus a private litany. 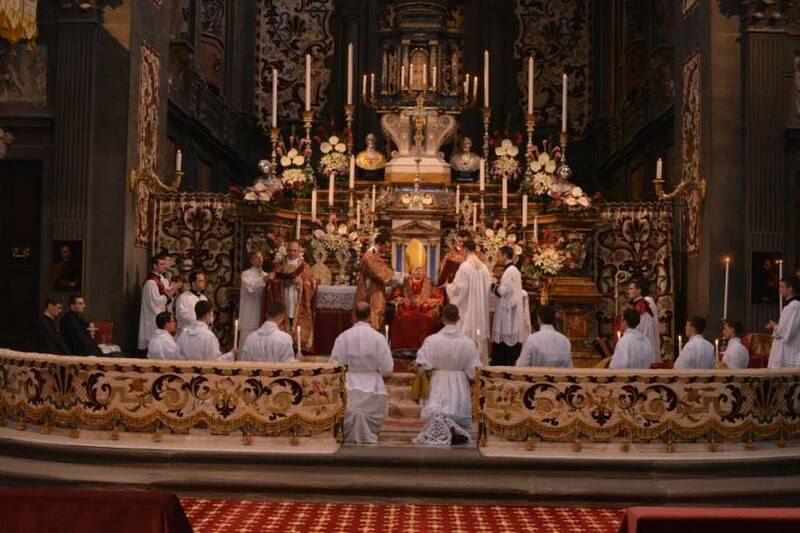 ...Litanies appeared in honour of God the Father, of God the Son, of God the Holy Ghost, of the Precious Blood, of the Blessed Virgin, of the Immaculate Conception, of each of the saints honoured in different countries, for the souls in Purgatory, etc. In 1601 Baronius wrote that about eighty forms were in circulation. To prevent abuse, Pope Clement VIII, by decree of the Inquisition of 6 Sept., 1601, forbade the publication of any litany, except that of the saints as found in the liturgical books and that of Loreto. To-day the litanies approved for public recitation are: of All Saints, of Loreto, of the Holy Name, of the Sacred Heart, of St. Joseph [Ed. 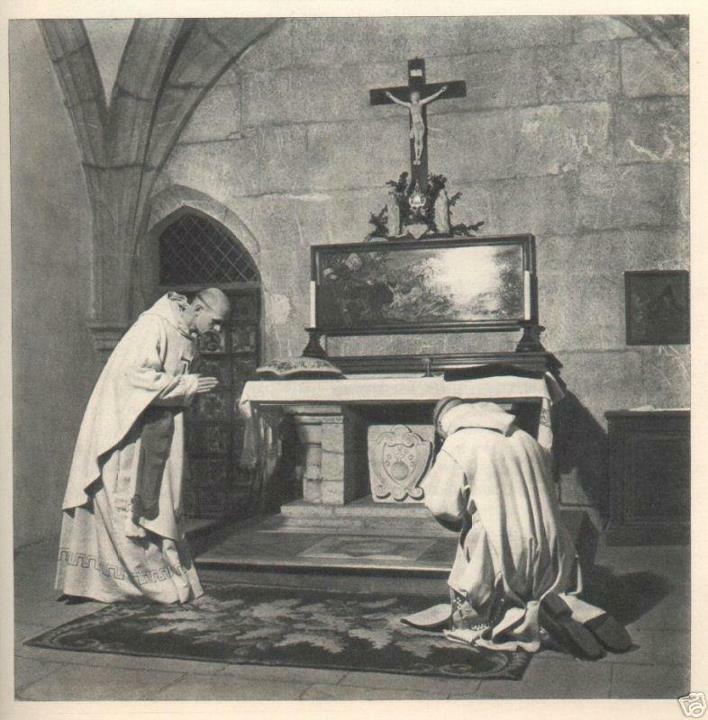 and, approved in 1960, of the Most Precious Blood of Our Lord Jesus Christ]. Many, many other litanies exist, and all of them may be prayed privately (assuming of course they don't contain heresy). I've posted several litanies over the years that are private litanies. The Litany of the Saints -- the oldest of the litanies, dating to A.D. 595 -- is prayed liturgically at the Easter Vigil, during ordinations, on Rogation days, and also during solemn exorcisms, etc.. 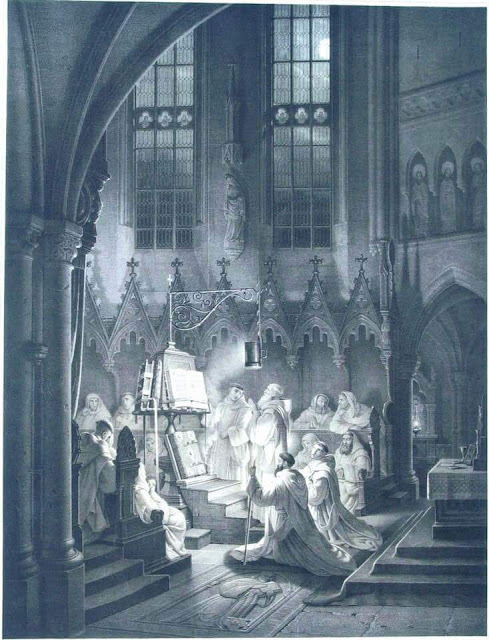 Privately, it is prayed any time one wishes, as with the other litanies, but is especially prayed after sundown on All Saints' Day in preparation for All Souls' Day, and on All Souls' Day itself. This litany first invokes God in all Three Persons, then follow, in this order: Mary; the blessed spirits; St. Joseph and the Patriarchs and Prophets; the Apostles and Evangelists; all the disciples of the Lord; the Holy Innocents and the glorious martyrs; the holy Bishops and Confessors (those who suffer for the faith); the holy priests and Levites; the virgins and widows; and all holy men and women. 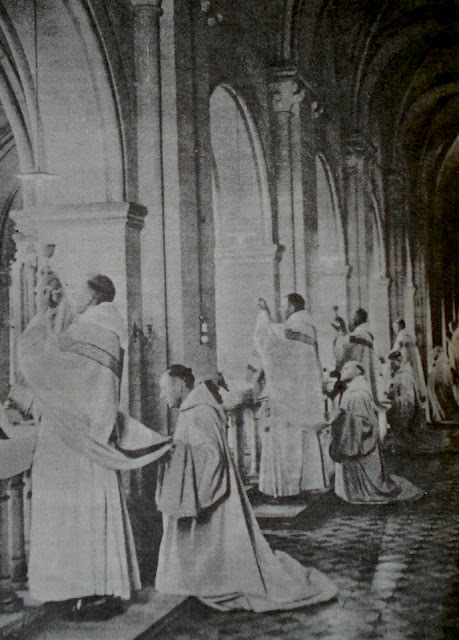 During the ordination of Deacons, the Archbishop instructs the candidates: "It is your duty to uphold and defend this Church of God, even as the Tabernacle, with the armor of holiness, by divine preaching and perfect example." They rose at midnight for the night-office that the sleeping world might not be wholly dumb to God; went to rest again; rose once more with the world, and set about a yet sublimer worship. 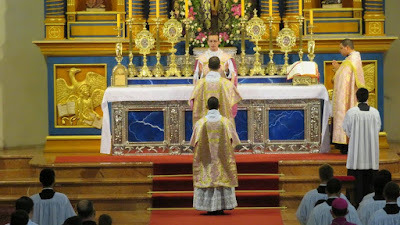 A stream of sacrifice poured up to the Throne through the mellow summer morning, or the cold winter darkness and gloom, from altar after altar in the great church. Christopher remembered pleasantly a morning soon after the beginning of his novitiate when he had been in the church as a set of priests came in and began mass simultaneously; the mystical fancy suggested itself as the hum of voices began that he was in a garden, warm and bright with grace, and that bees were about him making honey – that fragrant sweetness of which it had been said long ago that God should eat - and as the tinkle of the Elevation sounded out here and there, it seemed to him as a signal that the mysterious confection was done, and that every altar sprang into perfume from those silver vessels set with jewel and crystal. Robert Hugh Benson, The King’s Achievement. ii. An indulgence of seven years and seven quarantines on all other Fridays. Moreover, wherever there are not churches of the above named order, or where they are distant at least a mile from a person’s own dwelling, the same Clement XII. granted in these two cases, by a Brief Nuper editae of March 20, 1739, the same indulgences to the faithful as are mentioned above, conditional of course upon their previous Confession and Communion. In this Brief permission is given to visit any other church whatsoever dedicated to God in honour of St. Francis of Paola, or any altar existing in any church where there is a picture of this glorious Saint; and if none of these conditions can be complied with, the visit may be made to their own parish church. 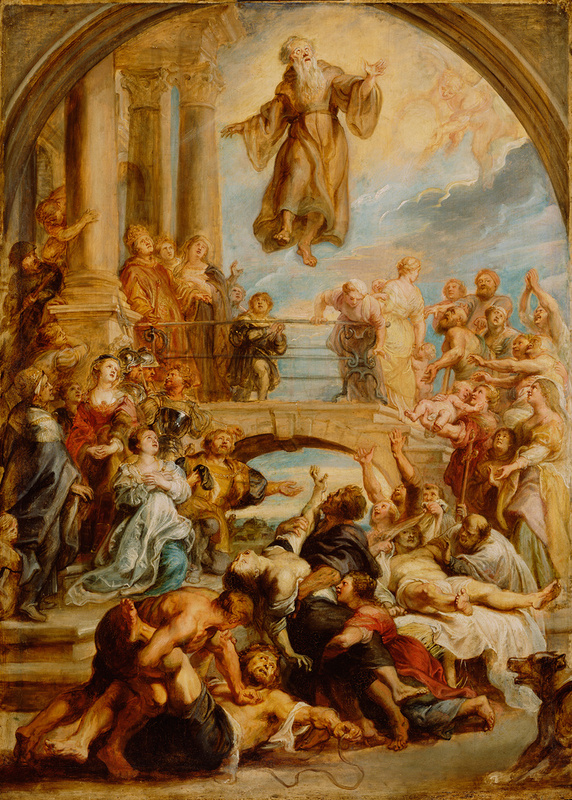 This devotion originated with St. Francis himself, who practised it in honour of our Lord Jesus Christ and His twelve Apostles with this intent, on each of the thirteen Fridays he used to recite thirteen Pater noster’s and as many Ave Maria’s, and this devotion he promulgated by word of mouth and by letter to his own devout followers, as an efficacious means of obtaining from God the graces they desired, provided they were for the greater good of their souls. Since the death of the Saint, which took place April 2, 1507, the day on which Good Friday fell in that year, this devotion has always been practised by the faithful throughout the whole Catholic world in honour of the holy Founder; and so it came at last to be approved by the said Clement XII., who granted the Indulgences above named, in order to animate good Christians to adopt it. 1. Do I know the Faith that I profess to believe in? If not, how can I learn more? 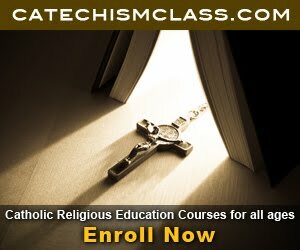 For example, CatechismClass.com has an ideal Adult Course just for this purpose. 2. Am I truly living a Catholic life? Am I learning more prayers? Am I helping others to learn the Faith and live it out? 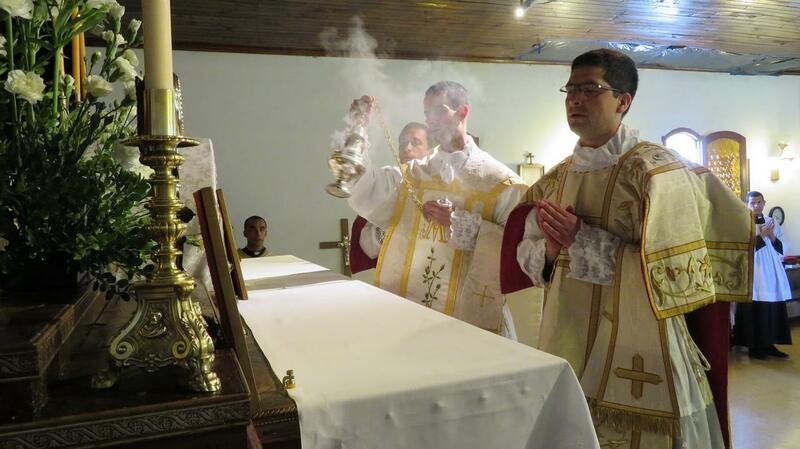 Do I regularly receive the Sacraments? 3. Do you struggle with certain sins or addictions? 4. Do you need to make more donations to Catholic organizations or pro-life charities? This is the time of year to truly set Catholic Resolutions which will have eternal repercussions. 1. 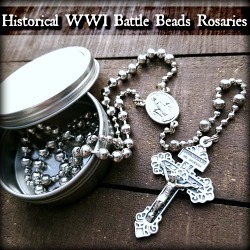 Overall, I have always struggled to pray the Rosary all 7 days a week. I did make better progress during Lent with Daily Rosary than the rest of the year, but I think I finish the year with averaging the Rosary on most days of the week. 2. I have been able to really make this a habit and I've seen good fruit from the Daily Divine Office in my life. 3. 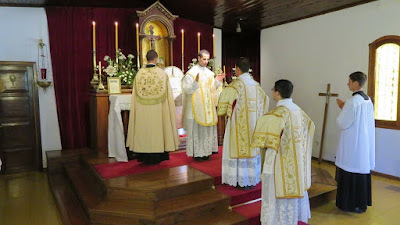 In the first half of the year, I was able to make it to Mass at least 5 or 6 days a week. With the job situation change that occurred in July, that wasn't as easy. 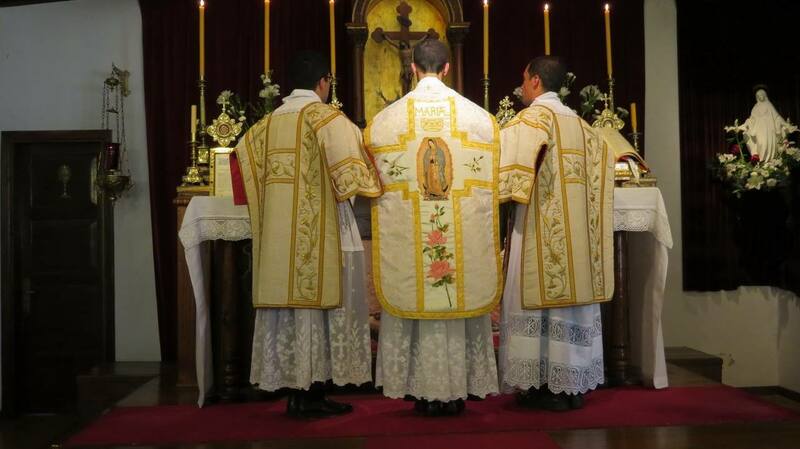 So I'm going to adapt this goal so that Daily Mass can still be a part of the week. 5. Confession each week has been probably my best resolution as it has really helped me grow in virtue and root out several bad habits. 5. Focus on conquering old habits and practicing a detachment to material things. 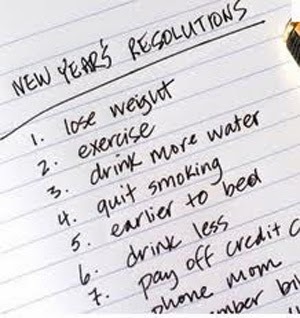 I encourage you to make Catholic Resolutions as well!